Scott Adams, of Dilbert Fame, has a lot of useful advice in his autobiographical book How to Fail at Almost Everything and Still Win Big. He recommends looking for patterns in your life, without attempting to theorize about cause and effects. Learning from those patterns you could increase the chance that luck with hit you. I believe in increasing your options, so I can relate a lot to applying this approach to Life, the Universe and Everything. It should be true in relation to the iconic example of patterns, that is: Web traffic. In this post I’ll try to briefly summarize what I have learned so far from most recent unfortunate events (This is PR speak for disaster). I was intrigued by web statistics, web servers’ log files, and the summaries show by the free Google or Bing Webmaster Tools ever since, but I started to follow the trends more closely after my other, non-Wordpress web server had been hacked by the end of November. How do you recognize that your site has been hacked? This is very different from what you might expect from popular lore and movies. I downloaded the log files for my web server from time to time, and I just noticed that suddenly the size of the daily files was about twice as usual. 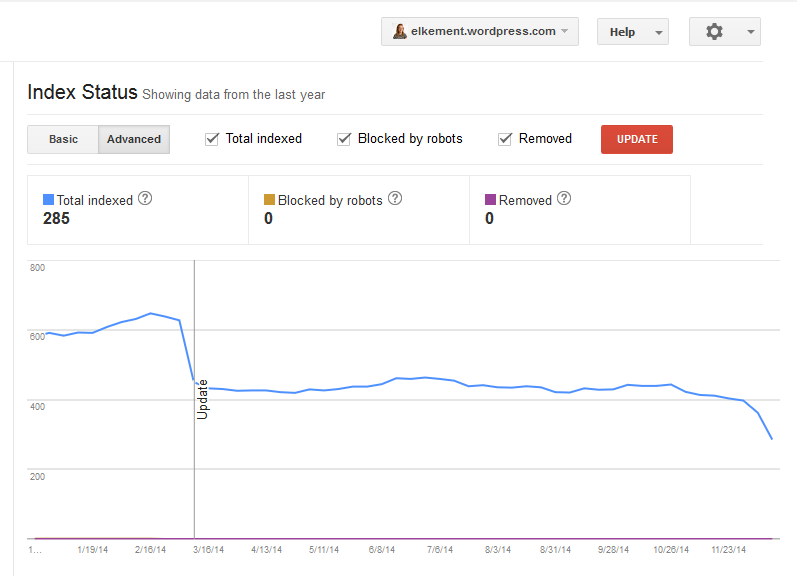 Inspecting the IP addresses which the traffic to my site came from I spotted a lot of hits by Google bot. Sites are indexed all the time, but I was baffled by the URLs – all pointing to pages that should not exist on my server. These URLs contained a long query string with all kinds of brand names, as you know them from spam comments or e-mails. This IP address belongs to a *.googlebot.com machine, as can be confirmed by resolving the name, e.g. using nslookup. The worrying fact was the status code 200 which means the page had indeed been there. The attack had happened in the weekend, and the pages have been removed immediately by my hosting provider. I cross-checked if those pages had indeed been indexed by Google I searched for site:[domain name]. This is a snippet from the search results – the spammers even borrowed the tag line of our legitimate site as a description (which I cropped from the screenshot here). robots.txt. Using the site:[domain name] search I identified all the spammy pages and added them to the robots.txt file on my server. This file tells search engines which pages not to index. Fortunately you do not have to add each individual URL – adding the page (ending in .asp in this case) is sufficient. A description for this result is not available because of this site’s robots.txt. As far as I can tell, entries are still added to the index if somebody else links to your pages (actually, spammy pages on other hacked servers, see root cause analysis below). But as Google is not allowed to investigate the target as per robots.txt, it only adds the link without a description. URL parameters. Since the spammy pages all use query strings and all strings have the same parameter – [page].asp?dca= in my case – I tried managing the URL parameters via web master tools. This is actually an option to let Google know if a query string should really denote another version of a page or if all query strings for one page should be indexed as a single page. E.g. I am using a query string called imgClicked to magnify an image when clicking in the top image, and I could tell Google that the clicked / unclicked image should not be counted as different URLs. In the special case of the spammy pages I tried to tell Google that different dca values don’t make for a separate page (which would result in about 6 spammy URLs in the index instead of 1500) but this did not impact the gradual accumulation of indexed spammy pages. Click on the URL from the search results, opening a new tab. This results in a 404. Copy the URL from the address bar to web master tools in the form for removing the URL. I am now at about 500. 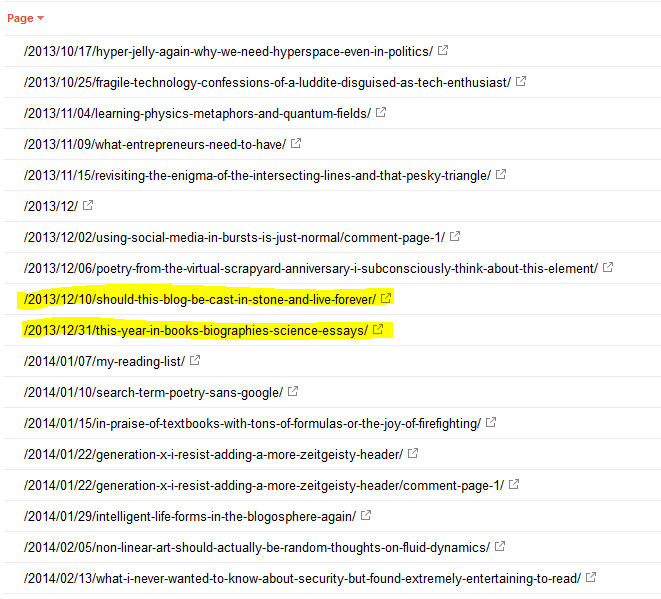 Not all spammy pages that ever existed are displayed at once in the index, but about 10 are added every day. Where do they come from after the original pages had been deleted? How was this hack actually supposed to work? The legitimate pages had not been changed or vandalized but the hacker-spammers just placed additional pages on the server. I had never noticed them, had I not encountered Google’s indexing activities. Your typical junk of spammy text, otherwise I would be delighted about raw material for poetry. An exact copy of the default page of this (legitimate) web site. I haven’t investigated all those more than 1000 pages and spammy links displayed on them but I conjectured there have to be some outbound links to other – hacked – servers Links will be only boosted if there are backlinks from seemingly independent web sites. Somehow this should make people buy something in a shady webshop at the end of a cascade of links. After some weeks I was able to confirm this as Google web master tools now show external backlinks to my domain from other spammy pages on legitimate sites, mostly small businesses in the US. Many of them used the same provider that obviously had been hacked as well. This explains where the gradual supply of spammy links to the index comes from: Google has followed the spammy links from the other hacked servers inbound to my server. It seems to take a while to clean this out as all the other webmasters have removed there pages as well – I checked each. of. them. from the long list supplied by Google as a CSV file. Hadn’t I been hacked I might have never been aware of the completely unrelated onslaught by Google itself, targeted to this blog. I reported on this in detail previously; here is just an update and a summary. Edit as from the comments I conclude this was not clear: The following analysis is unrelated to the hack of non-Wordpress site – the hacked site had not been penalized so far by Google. But the blog you are reading right now was. Rapid decline of impressions. Webmaster tools show a period of 3 months maximum. I have checked the trend for all my sites now and then, but there was actually never anything that constituted a real trend. But for this blog page impressions went from a few hundred, often more than 1000 per day this summer to less than 10 per day now. 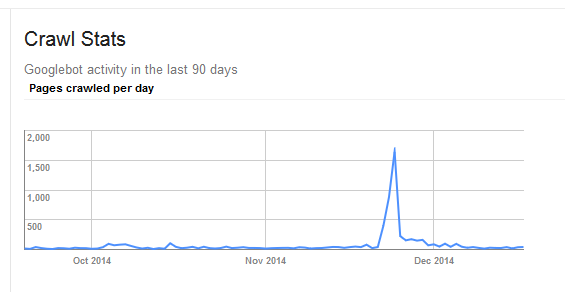 Page impressions stayed at their all-time-low since last time, so just extend that graph to the right. Comparison with sites that should rank much lower. Currently this blog has as much or as few impressions as my personal website e-stangl.at. Its Google pagerank is 1 – as compared to 3 for the WordPress blog; I only update it every quarter at maximum, and its word count is perhaps a thousands of this blog. My other two sites subversiv.at and radices.net score better although I update them only about once every 6 weeks, and I am pretty sure I violate best practices due to my creative mixing languages, commenting on my own stuff, and/or curating enormous lists of outbound links. It is ironic that Google has penalized this blog now, as per autumn 2014 my quality control has become more ruthless. I had quite a number of posts in Drafts, with more than 1000 words each, edited, and spell-checked – and finally deleted all of them. The remaining posts were the ones requiring considerable research plus my poetry. This spam poem is one of my most popular posts as by Google’s page impressions. So all theorizing is really futile and I should better watch the pattern emerge. Identify your top performing pages by ranking pages in the list of search results by impressions or clicks. Then order pages in the list of search results by page name. This is effectively ranking by date for blogs, and the list can be compared to the archive of all pages. Make the time span covered by the Google tools smaller and smaller and check if one your former top pages is suddenly vanishing from the list. a list of physics books, blogs and websites. As a reader pointed out correctly this does not mean that the page has been deleted from the index – as you can confirm by searching for site:[Offending URL] explicitly or by adding a more specific search criterion, like adding elkement. I found that the results displayed for my offending pages are erratic: Sometimes, surprisingly, the page will still show up if I just use the title of the post; perhaps a consequence of me, owner of the site, being logged on to Google. Sometimes I need to add an additional keyword to move it to the top in search results again. But anyway, even if the pages had not been deleted, they had been pushed back to search results page >10. I cannot see a similar effect for any of the other sites, and as far as I know it does not correlate with some Google update (Google has indicated a major update in March 2014 in the figure). Find the root cause. Except from links on my own sites, and links on other other blogs my blog has no backlinks. As I learned in this research backlinks from forums are often tagged nofollow so that search engines would not consider them spammy. This means links from your avatar commenting on other pages might not boost your blog, but might not hurt either. The only ‘worthy’ backlink was from the page dedicated to that book I had reviewed – and that page linked exactly to the offending pages. My blog and the author’s page may look to Google as the tangle of cross-linked spammy pages hackers had misused my other web server for. Do something about it? Conclusion? I replaced some of my links to the author’s site with a link to the book’s page on amazon.com. I moved one of the offending pages, the physics link list, over to radices.net – as I had planned to do so for quite a while in my eternal quest for tidy, consistent web sites. The page is still available on this blog, but not visible in the menu anymore. But I will not ask the author to remove a valid backlink or remove my innocuous post, it seems like succumbing to the rules of a silly game. What I learned from this episode is that one single page – perhaps one you don’t even consider important on the grand scale of things and your blog in particular – can boost a blog or drag it down. Which pages are the chosen ones is beyond unpredictable. Ending on a more positive note I currently encounter the boost effect for your German blog as we indulge in writing about the configuration of this gadget, the programmable control unit we use with our heat pump system. 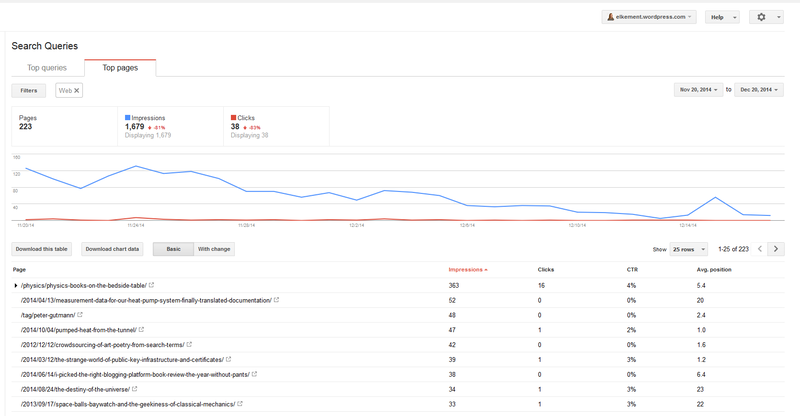 The device is very popular among ambitious DIY enthusiasts, and readers are obviously searching for it. We are often linking to the vendor’s business page and manuals. I hope they will never link back to us. I will just keep watching the patterns and reporting on my encounters. 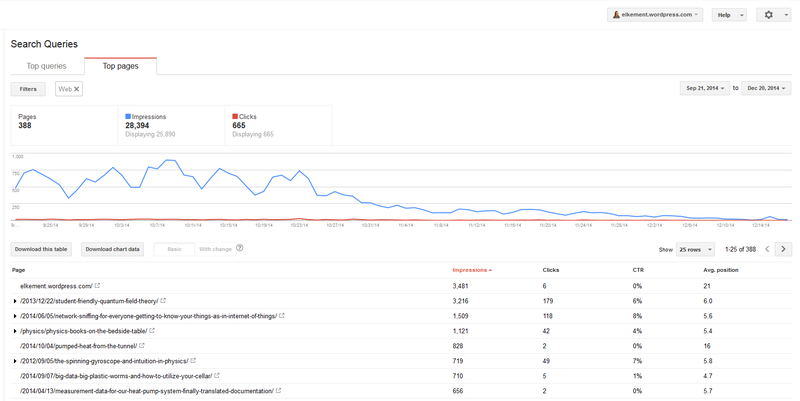 One of the next enigmas to be resolved: Why is the number of Google searches in my WordPress Stats much higher than the number of page impressions in Google Tools for that day, let alone clicks in Google Tools? Update 2015-01-23: The answer was embarrassingly simple, and all my paranoia had been misguided. WordPress has migrated their hosted blogs to https only. All my traffic was hiding in the statistics for the https version which has to be added in Google Webmaster Tools as a separate website.